Naperville, Illinois is located about 30 miles west of Chicago, in both DuPage and Will counties. With a population of nearly 145,000 residents, Naperville is the fifth largest city in Illinois. With a thriving downtown that offers a variety of shopping, dining, and entertainment, there’s something for everyone in Naperville. The area also holds several community events throughout the year, allowing it to maintain a small town feel, even as the population continues to increase and the economy continues to grow. Naperville is home to a variety of parks and recreation, including the Riverwalk, which is perfect for long runs or walks along the DuPage River with the whole family. There are also a wide variety of local businesses in the area, making it easy to shop local. 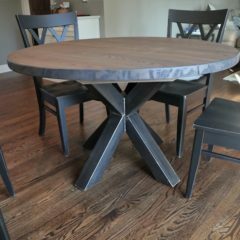 Rustic Elements Furniture is a local custom furniture shop located in the suburbs of Chicago in Joliet, IL. 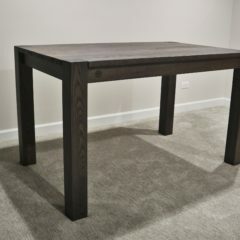 We create custom wood furniture using only the highest quality wood available. Our furniture is not affected by chemicals, nail polish, or bleach, and is incredibly durable. As a local business, we pride ourselves on top notch quality service. We want you to love the finished product, so we’ll work with you every step of the way to ensure we build the piece to your exact needs and specifications. 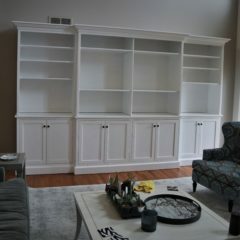 No matter the type of furniture you’re looking for, we can build it. 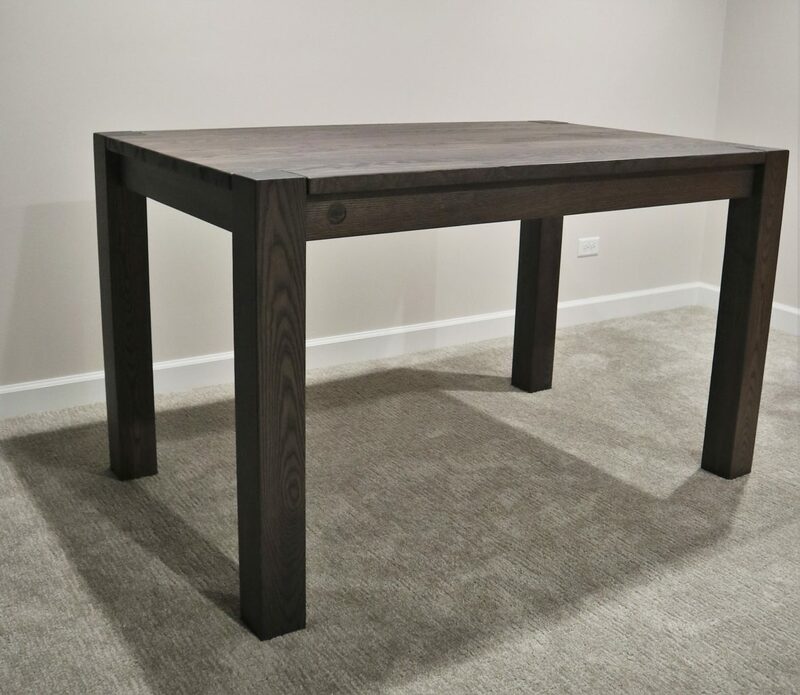 We specialize in handcrafted wood tables, but we also build a wide variety of furniture, including: office furniture, benches, media centers, and storage furniture. If you live in Naperville, we invite you to come visit our Joliet showroom to see examples of some of the furniture we’ve built in the past. If you order a piece of furniture with us, we offer delivery on Saturdays from 8:00 am to 5:00 pm, or you can schedule a time to come pick it up. 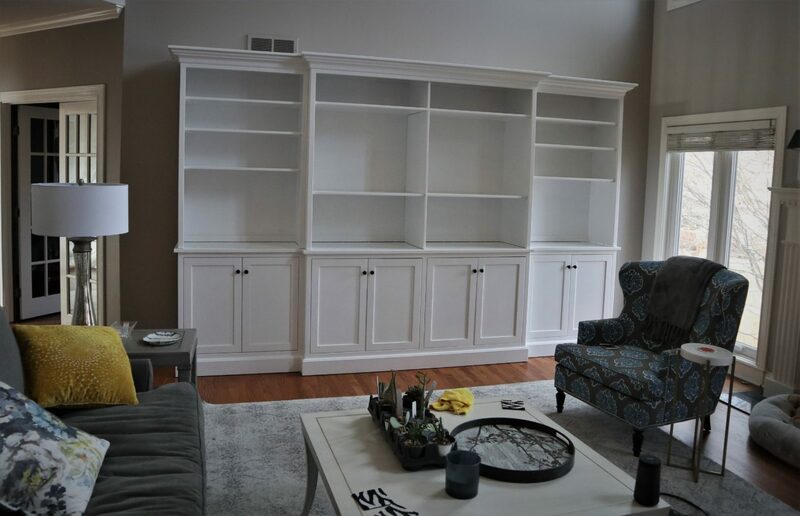 If you don’t have time to wait for a custom piece of furniture to be built, browse our current inventory to see the selection of furniture we have available for immediate purchase. 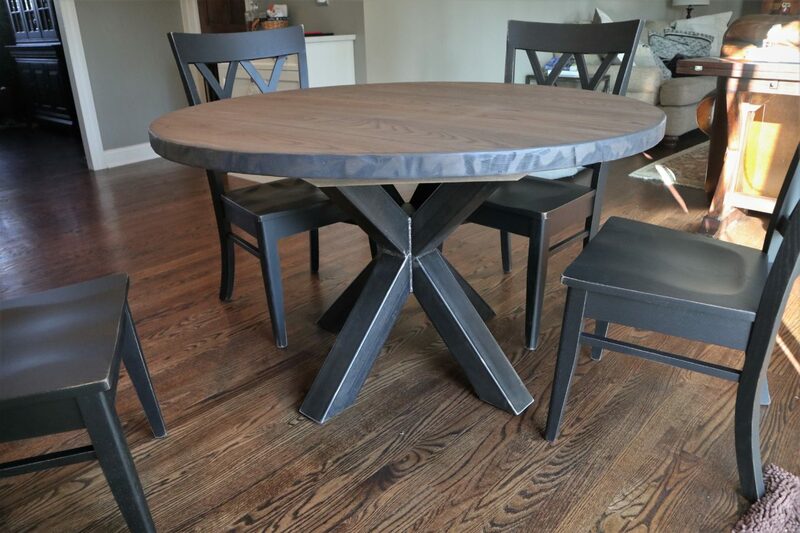 If you’re looking for custom wood furniture in Naperville, contact Rustic Elements today or call us at (847) 401-7753.